"Daddy, won't you treat him right? "Comment: This is a great example of how our culture has sexualized Native women such as Pocahontas. 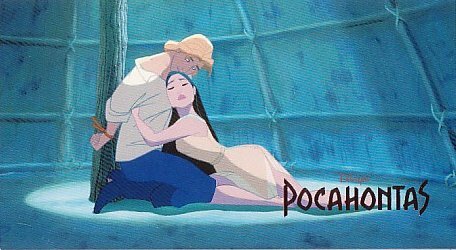 And why Disney's Pocahontas is problematical: for perpetuating a "storybook romance" that never existed. For more on the subject, see "In Defense of Pocahontas."